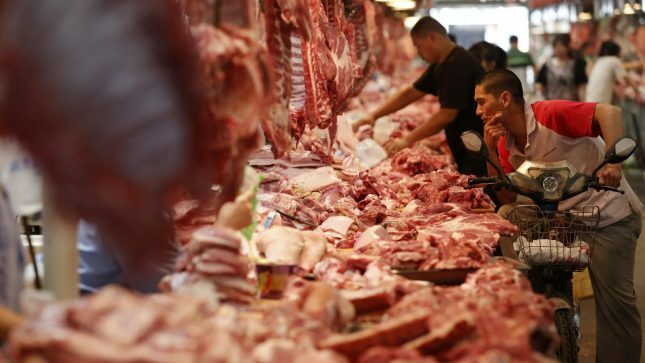 With more reliance on Brazilian beef, Chinese downstream companies in the meat industry are facing risks from supply associated with deforestation. Higher demand for Brazilian beef in China, where imports from Brazil have quadrupled since 2010, has been the major driver behind the rise in Brazil’s exports. Total exports of Brazilian beef increased by 2.6 percent in the first quarter of 2019. The continued uptick in exports has contributed to increasing risks of deforestation in the Brazil’s cattle sector. Approximately 20 percent of the country’s beef production is now exported, with China as the top destination. Against this backdrop, the cattle sector is expanding to meet growing demand in both the Brazilian and international markets. As Chain Reaction Research (CRR) reported on March 27, cattle slaughter in Brazil in 2018 hit the highest level since 2014, and roughly 40 percent of the country’s herd is in the Amazon. Top Brazilian companies operating along the cattle supply chain may face reputational, financial, and business risks from deforestation-linked beef. The main beef producers include JBS, Marfrig, and Minerva. In China, reducing deforestation risks is on the radar of the industry as consumer demand increases, as well as dependence on Brazil and other South American countries. More than 60 companies signed the Chinese Sustainable Meat Declaration, launched by the Chinese Meat Association and the World Wildlife Fund (WWF) in May 2017. This called on the industry to eliminate deforestation and other negative land-use activity. Despite this step, companies have yet to take visible action individually to adopt zero-deforestation policies. The lack of action to ensure effective safeguards following the Chinese Meat Declaration increases risks associated with deforestation. Global Canopy (GCP) listed the top Chinese companies with exposure to deforestation risks. They are a mix of privately held companies, state-owned firms, and publicly traded businesses. Of the nine beef companies Global Canopy lists, only two – Beijing Zhuochen Animal Husbandry Co. and WH Group Limited — are publicly traded. Beijing Zhuochen Animal Husbandry Co. is among the top 10 Chinese importers from Brazil and is involved in both processing and distributing the beef. WH Group Limited is one of the top three meat processors in China, and is expanding its beef operations after focusing mostly on pork. Investors in these companies could face risks from their exposure to beef possibly linked to deforestation. GCP has also published a study showing how key European and U.S. companies are exposed to deforestation risks from the leather trade between Brazil and China. The list of companies includes BMW, Daimler, Ford, General Motors, Macy’s, Adidas AG, and others. Privately held companies may also face reputational and market access risks from importing, processing, manufacturing or retailing beef despite not being accountable to public shareholders. They may still have to contend with pressure from the Chinese government, consumers, or financiers to become more transparent about their beef sourcing and adopt their own sustainability policies, amid growing awareness of deforestation-linked beef and its connection to climate change. The non-public companies Global Canopy included are the following: China Resources National Resources National Corporation, Jilin Province Changchun Haoyue Islamic Meat Co., Kai Bo Food Supermarket, Million Far East Limited, Oriental Partners Limited, Parker-Migliorini International (based in the United States), and Total Enterprises Limited. COFCO, whose trading arm is active in Brazil, has become a leading Chinese voice in sourcing commodities not connected to deforestation. COFCO argued in a statement released in January at the World Economic Forum that deforestation-linked supply chains could lead to reputational and financial risks for agricultural companies. COFCO’s announcement focused mostly on soy, however. For the beef industry, no Chinese actor has taken the lead in arguing in favor of similar strong measures to curb deforestation risks. While tracing the exact origin of exported beef to China is difficult, most exports likely come from the southern part of Brazil, where the economics are more favorable and slaughterhouses have licenses to export. But exports have a ripple effect: Land is likely being cleared in the Amazon to meet domestic demand. On top of growth of cattle ranching in the Amazon, looser environmental regulations under the Jair Bolsonaro administration, including less enforcement against illegal land-grabbing, could continue to contribute to higher deforestation rates in Brazil.